Blensacide is a multi-purpose germicide detergent concentrate that can be used on surfaces, implements, and equipment such as pedicure tubs. Just two ounces of Blensacide makes one gallon of cleaner. It disinfects, cleans and deodorizes in one easy, ten-minute step. Effective against over 25 pathogens, including HIV-1 AIDS virus and Herpes Simplex Type 1. 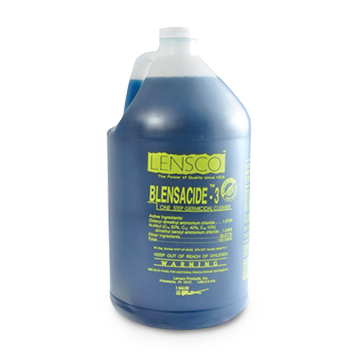 Blensacide is Disinfectant, Staphylocidal, Bactericidal, Mildewstatic, Pseudomonacidal, Salmonellacidal, Fungicidal and Virucidal.